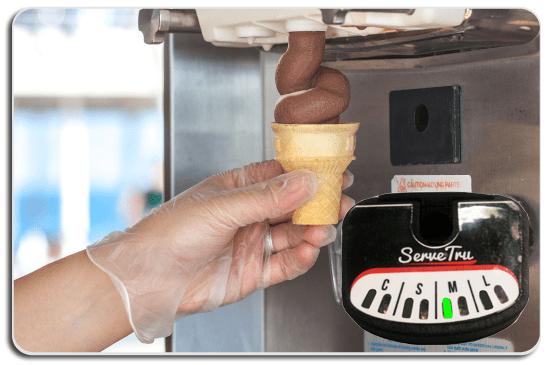 Our research has found facilities that serve soft serve often “over portion” their ice cream to the tune of $30 per day. This simple device monitors and alerts the user of the right size every time. This modest investment provides an ROI in less than 30 days. 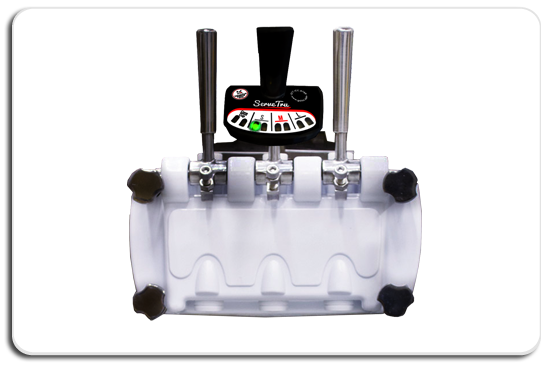 Serve-Tru™ is a small device that attaches to your ice cream machine. Amber and green lights indicate when the appropriate amount of ice cream has been reached for your set serving size. Ready to Save Money with Portion Control?